Get multiple Workers Comp Indications in minutes and track the status of your submission online. Its fast and easy and there are never any membership fees or dues or premium production requirements. Preferred, Mainstreet, Construction, High Hazard Ok! New Ventures with approval OK! * Online Raters Coming soon: General Liability, Inland Marine, and Cyber Liability. If your Agency is not appointed, Get Appointed here! CoverageLoop.com has access and provides coverage to markets in 35 states. 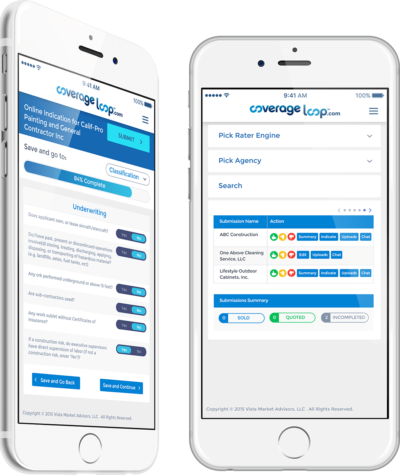 CoverageLoop.com offers agents and brokers access to national and regional carriers of Workers Compensation and General Liability coverage. 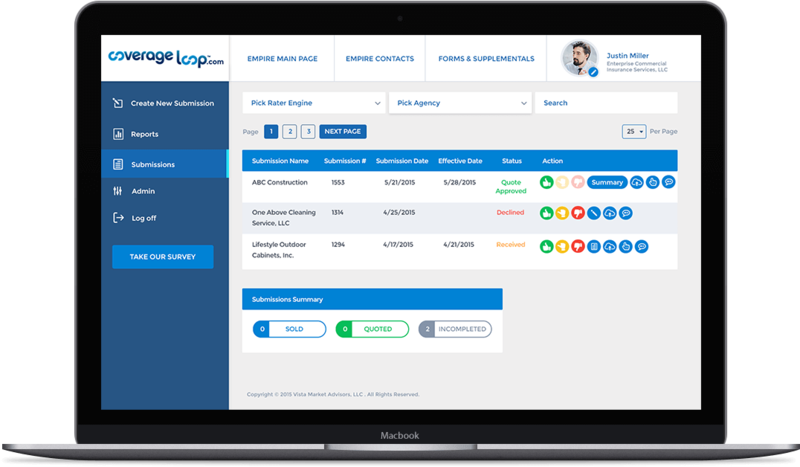 More and more lines of Coverage and Carriers will be added to the Coverage Loop engine to allow you, the producer, to get quick, easy and competitive indications and quotes and be able to get back to your client quickly. Whether you use the instant indication tool online or simply use the “Submit” tool to send us your submissions, our underwriters are here to help you along the way.